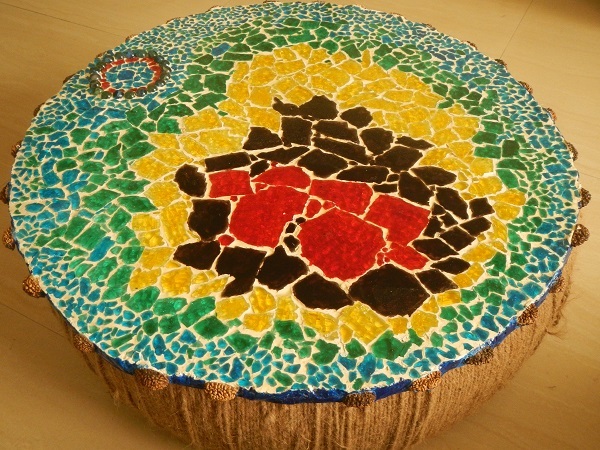 Mosaic Art Workshops 'MOS'ART - This July in Bangalore! For those of you who would like to know about Mosaic and up cycling, read on! Art indeed is magic. Today, no longer are we mere spectators but we have the chance to participate and create our own individual creative art as our new age mentors are as experimental as us and as willing to teach us as we would like it to be, if not any more. 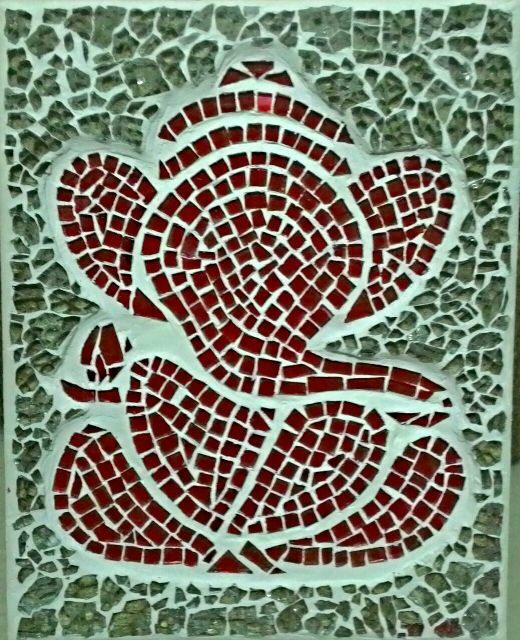 Mosaic is a beautiful art of creating a whole out of pieces. It is versatile and constantly evolving. An uber cafe in Bangalore, named ‘Atta Galatta’ is hosting the Mosaic making workshop once again, on 23rd, 24th, 30th July, 31st July to have fun with their ideas, sprinkle some glass and color and watch what they can create. There are 3 slots but are filling out fast, so if you are a first timer and are interested, in fundamentals of mosaic making enroll for Basic Glass Mosaic workshops on 24th and 30th July. The ones, who already have some knowledge of mosaic, Advanced Mosaic Workshop would be conducted on 31st July. There, we get to work with different tessserae and different backings. 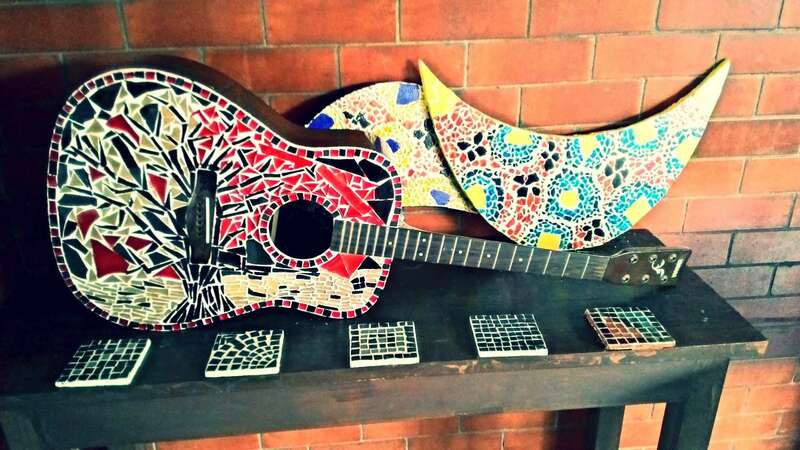 They would also bring you a mosaic making kit (inclusive) to get you further committed on pursuing this craft. For the fun seekers, they are coming up with a very novel way of making mosaic. They are presenting Mosaic from Eggshells on 23rd July in two slots. A great way to reduce your daily waste and make some quirky art pieces. Please reach out to us at 7259956644 to find out more details. 1) Pick up glass / tile pieces(mostly waste or something that is unused). Choose anything as canvas for example , it could be a small plywood. Apply the glue (fevicol etc) on the canvas and place your glass pieces the way you want it to be. A prior thinking of design would bring out better results. 2)Next step is to make Grout paste - so take 3 parts Grouts powder and one part water and make a paste. Apply this on the piece with an applicator filling even the gaps and not moving the pre-placed glass. 3) The Grout need to dry next and may take 8-24 hours. Once it is dried, scrap grout off tangentially from the glass pieces. 4)Once the piece is scraped well, clean with cloth dipped in water, and then prepare for color or varnish. 5)Use Glass Colors to color the glass pieces. Add as many as you want, as that would look great and vibrant. 6)Apply wood varnish to seal the colors. We get it in three types - matt, gloss etc. But since we used glass, a glossy varnish would look cool. 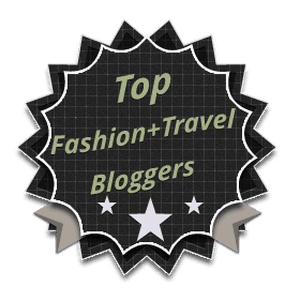 To know more detail on the first hand experience, this blog summarizes everything from her last workshop. Hi. 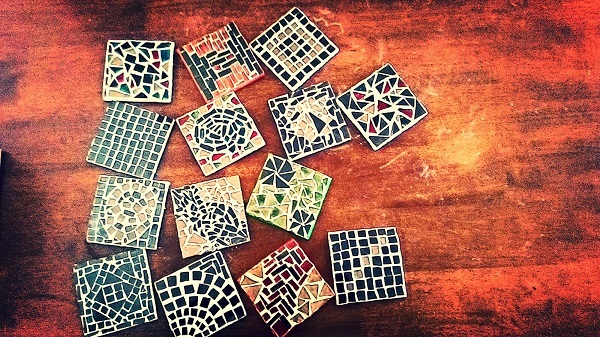 I am interested in the mosaic art workshop happening in july. Kindly give more details like fees, what all is covered, what to bring to the class etc. Thanks. pls mail me at priyakilpady@yahoo.com. not sure where il be able to see it, if you reply to my query on your page. i hvnt checked 'notify me' on my prev comment.